To some poker players, the addition of an online casino and sports betting client at PokerStars is about as exciting as watching somebody else play golf. After all, many rounders aren’t attracted to casino games with a negative expectation. And as for sports betting, poker players realize that this requires another time-consuming skill set to beat. Nevertheless, PokerStars’ new owners, Amaya Gaming, are providing some big reasons to get excited about their new casino and sports betting operation. Let’s cover when we can expect these offerings to be fully integrated into Stars’ client and why players should be happy about the matter. Amaya CEO David Baazov recently discussed how the sportsbook and casino should bring in new customers to the poker network. And this is good because it will increase liquidity for Stars and Full Tilt. Moreover, there’s also the stigma that attracting sports bettors and casino gamblers softens the competition at poker sites. Whether you’re interested in casino games, sports wagering or poker, you won’t have to worry about a complicated loyalty system. That’s because Amaya plans to integrate loyalty points earned in any game on to a single platform. Additionally, players will have more opportunities to use their funds at PokerStars-branded live rooms. This has already started with Stars players buying into the Seminole Hard Rock Open through their online account. Casino games have already been launched on Full Tilt. However, Baazov said that these games haven’t been given the proper attention or marketing efforts yet. So Amaya plan to heavily promote their casino in the near future and launch into new regulated markets by late 2014/early 2015. Online casino launches in Italy and Spain are first on the agenda. Amaya hope to launch their sports betting operation by 2015. Baasov said that most of this will be done in-house, but he didn’t rule out working with other sports betting software providers too. He believes sports betting will be huge since PokerStars/Full Tilt saw traffic decrease during 2014 World Cup matches, only to see traffic increase at halftime of the games. 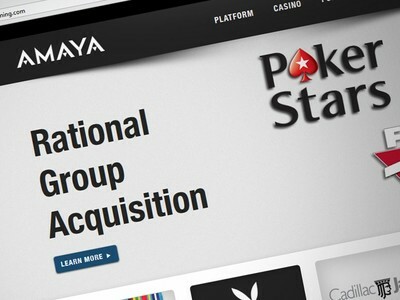 Amaya are working to provide their PokerStars and Full Tilt customers with a better overall gaming experience. And according to Baazov, everything should be in place sooner rather than later. What Would a PokerStars, William Hill Merger Look Like?